Frederik November 02, 2017 Comment? 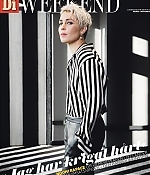 Variety has the first production still from the just-wrapped “Close”, which shows Noomi Rapace in action as Sam, the world’s leading female bodyguard and counter-terrorism expert. WestEnd Films is handling worldwide sales and is at AFM this week with a “Close” promo. The film follows Rapace’s character as as she takes on a job looking after a rich heiress. After a violent kidnap attempt, the pair have to go on the run to save their lives. The cast includes Sophie Nélisse (“The Book Thief”), Eoin Macken (“Resident Evil: The Final Chapter”) and Indira Varma (“Game of Thrones”). Rupert Whitaker produces and co-wrote the script with Vicky Jewson and Jason Newmark. Jewson is the director. Braden Aftergood (“Wind River”), Sarah Radclyffe (“Les Misérables”) and Dennis Davidson (“Bitter Harvest”) executive produce. The high resolution version of the production still can be found in the photo gallery. Frederik October 27, 2017 Comment? 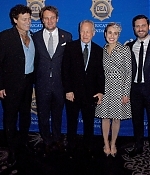 On Thursday, Noomi Rapace and Edgar Ramirez have attended the DEA Educational Foundation Benefit in Beverly Hills, honoring Michael Mann with a Lifetime Achievement Award for his significant and long term positive contributions in support of drug law enforcement and drug abuse prevention. 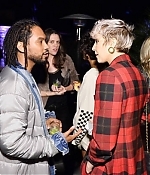 Pictures from the event have been added to the photo gallery. 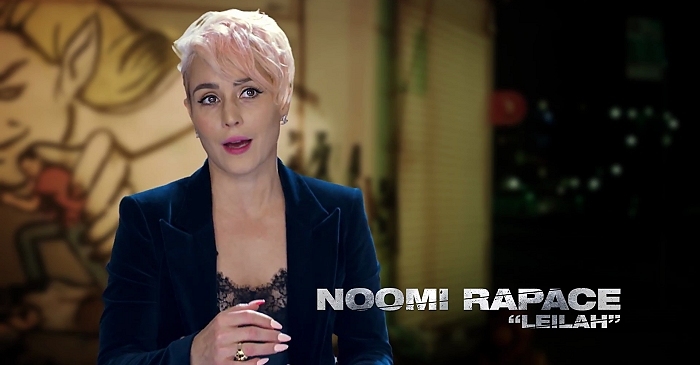 No word if Noomi was present to support Mann as a future director for the Enzo Ferrari biopic, which has been announced earlier this year without any further updates. Frederik October 25, 2017 Comment? Another “Bright” trailer has been launched today by Netflix, giving us yet some new bits of Noomi’s evil elf Leilah. If they keep up the pace of releasing promotional stuff until it’s Netflix peremiere on December 22, we can consider ourselves lucky. The trailer can be watched below and in the video archive, screencaptures have been added to the photo gallery. Frederik October 18, 2017 Comment? Today, Netflix has posted a first promotional featurette on “Bright” and its December 22 release, including interviews with director David Ayer and actors Will Smith, Joel Edgerton and Noomi Rapace. The clip features quite a few new scenes and teases a new trailer premiere for October 25. The featurette can be found in the video archive and below, screencaptures have been added to the photo gallery. Enjoy. Frederik October 15, 2017 Comment? 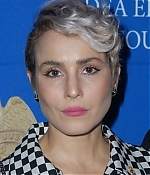 On Thursday, Noomi Rapace was spotted at a screening of the upcoming film “Film Stars Don’t Die in Liverpool” held by Lionsgate and Porter in London. A couple of pictures have been added to the photo gallery.